No church of the first century was any more troubled than Corinth’s. What is happening in our churches? Where is the discipline? Where is the faith? Questions like these are not new. The Christians in first century Corinth were troubled by many of the same issues churches still face today: rampant sexual immorality, misunderstandings, doctrinal disputes, elevation of human reason over the faith, taking fellow Christians to court, among others. 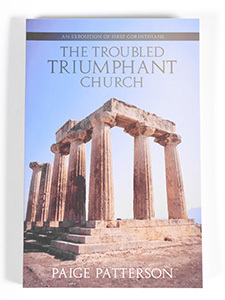 “The Troubled Triumphant Church” is a thorough examination of First Corinthians and its relation to current problems. Recommended for Bible study groups, this book paves the way for better understanding and gives scriptural solutions for common Christian concerns.